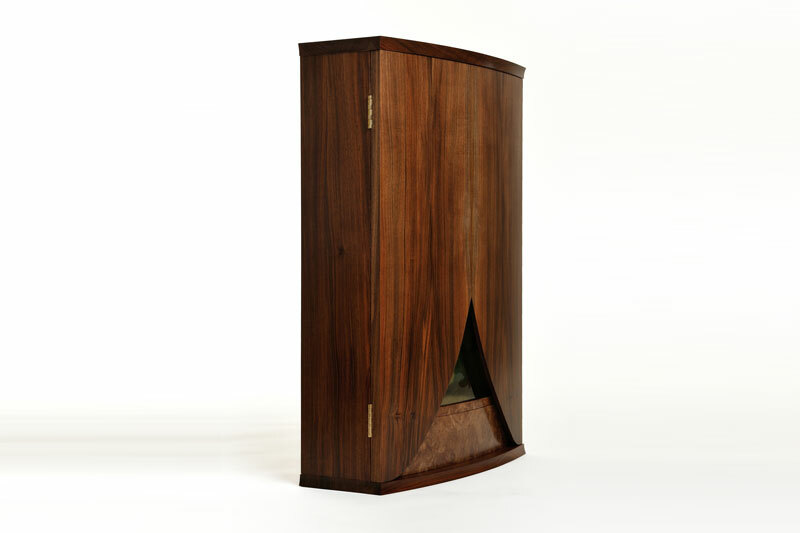 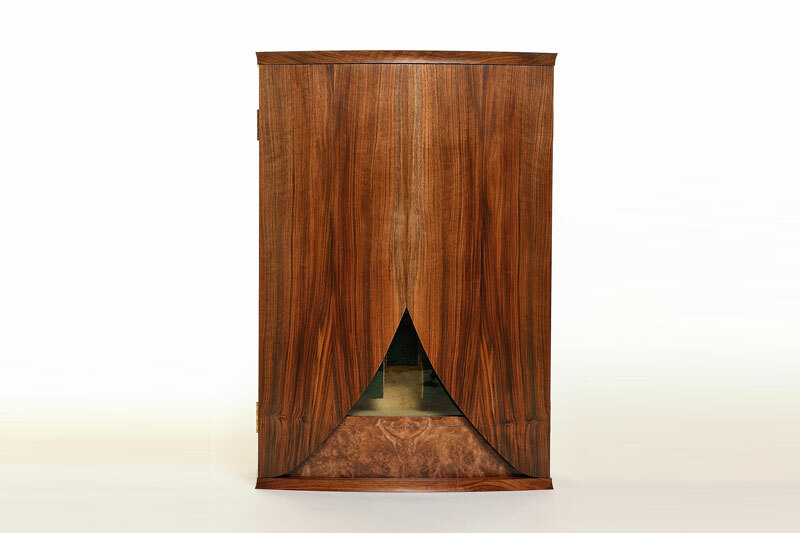 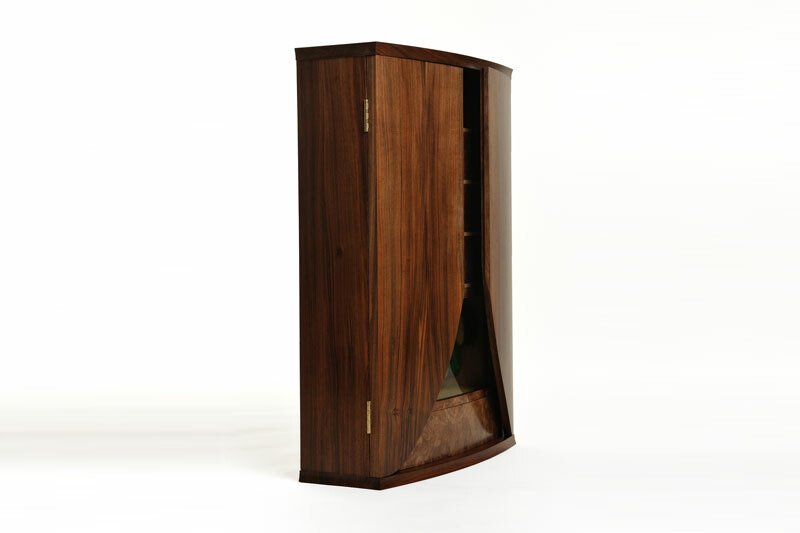 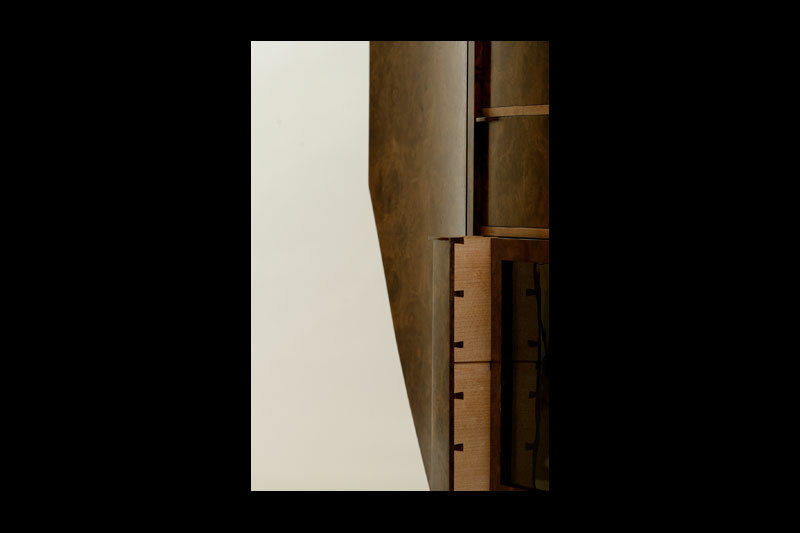 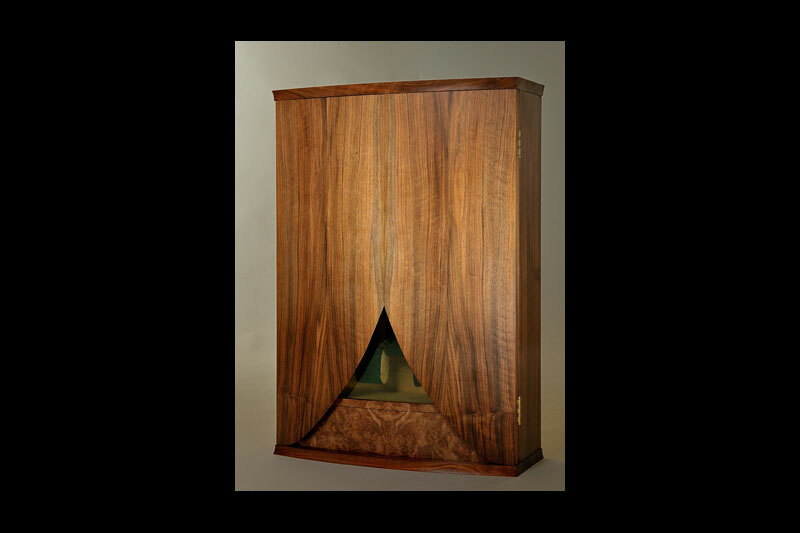 A wall mounted cabinet of English walnut designed to house a cherished medal collection. 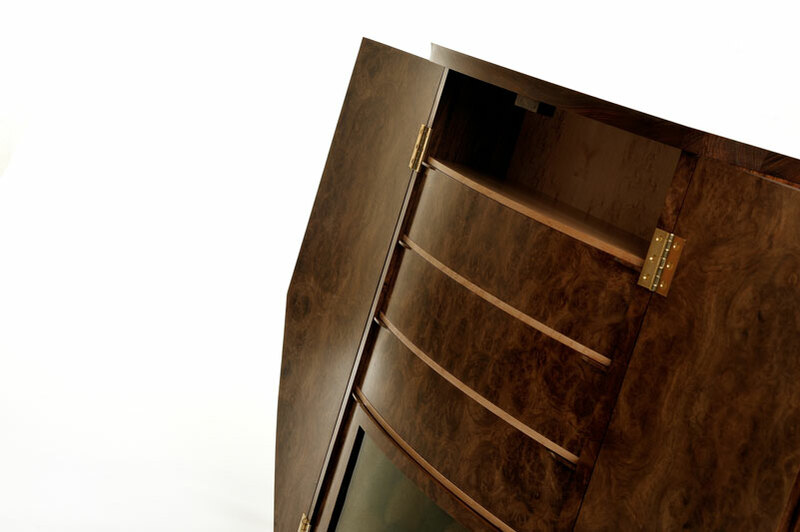 When closed, the curved doors allow a teasing glimpse of the medals. 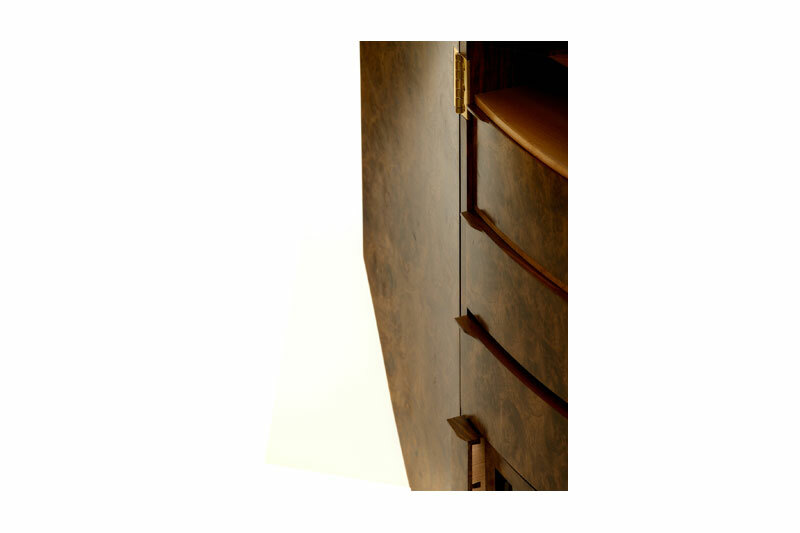 The drawers hold photos and mementos.